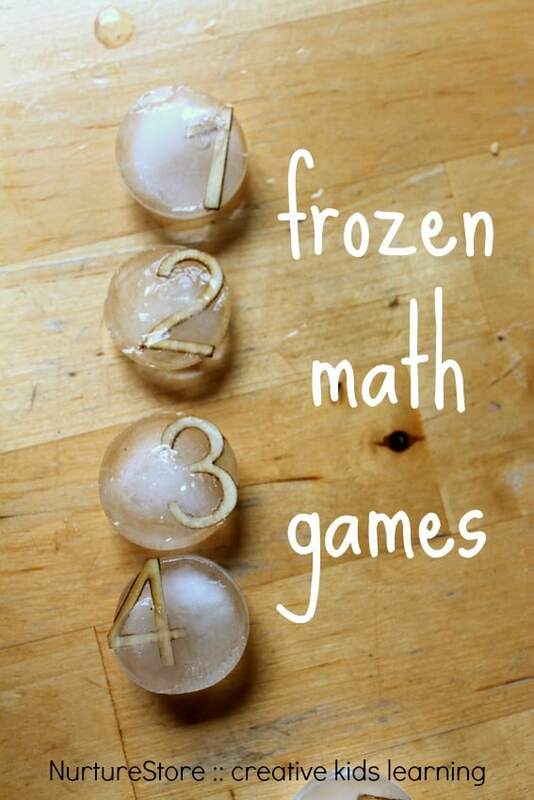 These frozen math games are great for multi-sensory learning. 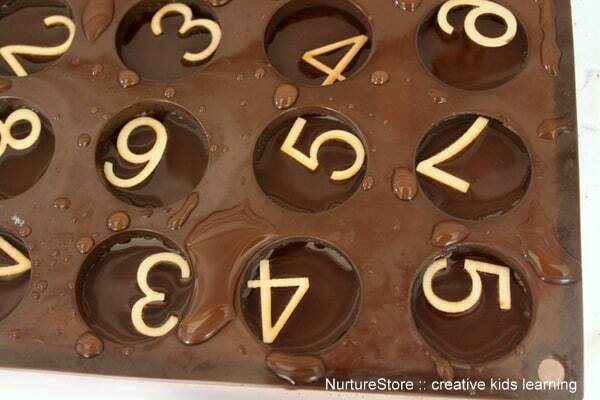 >>>> Download 40+ hands-on, multisensory, play-based letter and math activities here! 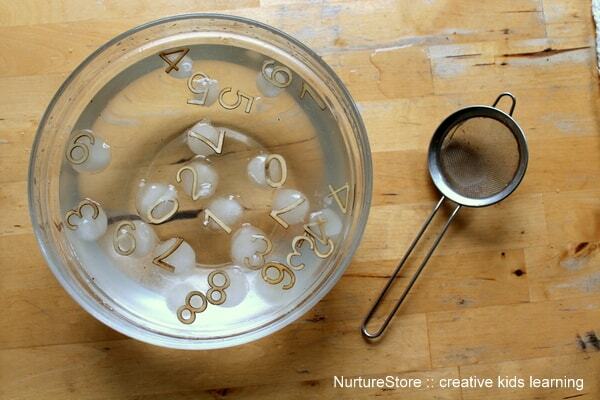 We’ve been using ice as our math manipulatives this week, to add a different sensory experience to our learning. I made some simple number ice blocks using wooden numbers (from the scrapbooking section of the craft store) and a chocolate mould. 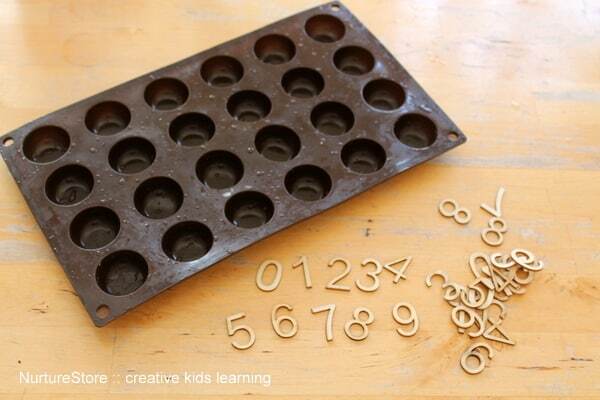 For the numbers you could also use fridge magnets, plastic numbers or ones cut from a piece of craft foam, and you can use an ice cube tray in place of the chocolate mould. Top tip: place the mould in the freezer before you pour the water in – fewer spills that way! 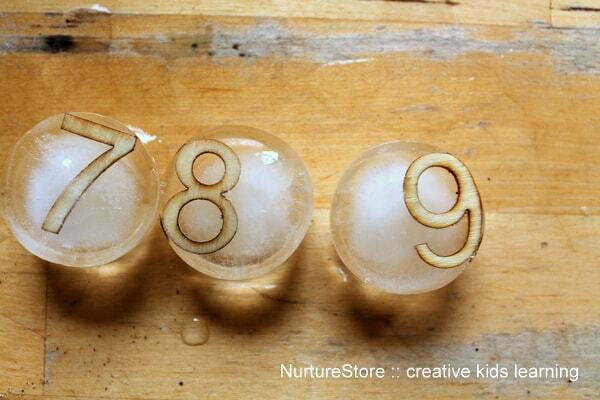 Once the water is frozen, pop out your number ice blocks and you’re ready to play. 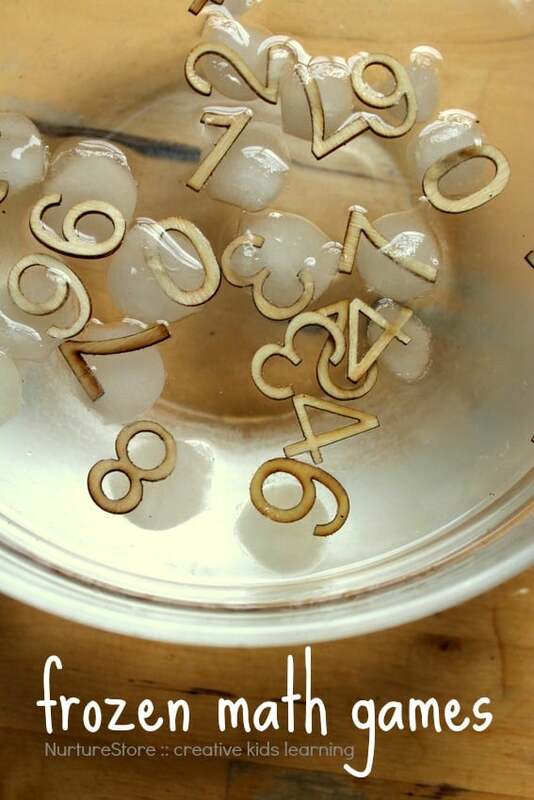 You can use your cool numbers in a bowl of water, in the water tray, outdoors in the yard, in the kitchen sink, in the bath tub…anywhere you like. 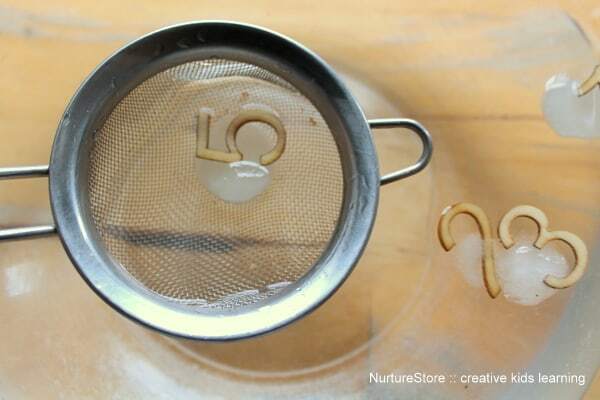 Adding in a tea-strainer, sieve or fishing net gives you a fun invitation to go fishing for numbers. #1 Set out the invitation and leave the children to it! Let them explore the feel of the ice, especially in contrast with the water. They might count, they might set up a pretend play story – it’s always interesting to sit back and see what they come up with. Having the numbers as part of the materials available is a way to gently introducing counting and math. #2 If you want to add some more math games, see if you can say the name of each number. #3 Challenge your child to catch a number three, or a number that’s one more than four. #4 See if you can line up the slippery ice numbers in ascending or descending order. #5 Fish out two numbers and see if you can say which is the biggest, or try and add them together.